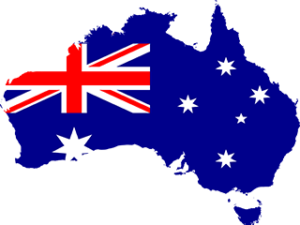 Australians are very friendly and helpful people, with a great sense of humor and a natural ability to tell jokes and play with words. Sometimes they may appear cold because of their “private nature” which has been imported over the past 2 decades, but it just takes time to “Break the ice”, and everything goes well. It means you can talk about any subject, but for more personal matters, things will take a little bit longer to come out in the open. There are various types of accommodation available for international students, ranging from private leased apartments to on-campus accommodation. Shared/Rental Accommodation A$100 – 350/week Renting a private apartment or sharing a house are popular and cheaper options for students. Some apartments and houses are furnished, and some students have to furnish themselves. On-campus Accommodation A$100 – 250/week. Most Universities offer accommodation on or near the campus. This may be a Student accommodation village or Halls of residence. On-campus accommodation is a great option for students as meals are often provided and distances are short. Scholarships opportunities are available. Scholarships can be extended to all the way to cover your whole academic and Living Expenses. But, we will ask for stellar academic achievements in SSC, HSC and Bachelor ***(where applicable). Alongside, Good IELTS/TOFEL, SAT, GRE scores will be rewarded. Thesis, published journals can add more weight, and ensure better Scholarships prospects. Australia is renowned for its quality of teachers, teaching methods and facilities and there is a worldwide acceptance and respect for Australian degrees and qualifications. Graduates enjoy excellent Employability, both within their home countries and in Australia. Included in the many Australian graduate, success stories are the global CEOs of Ford, Coca Cola and McDonalds, the first Japanese Astronaut and the stars of Hollywood blockbuster movies. Australia offers student excellent value for money, with living expenses and tuition fees being considerably lower then the UK and the USA. All visitors to Australia are required to have a valid visa. Students planning to study for more than three months are required to have a Student Visa. 8. Prove that you are of good character, sound health and have no debts to the Australian Government. To maintain a student visa in Australia Bangladeshi students must comply with a number of visa conditions including attendance and academic performance. International students that are studying in Australia may apply for permission to work once their course has commenced. Applying for the work visa is a fairly straight forward process. Once a work visa has been granted students are allowed to work up to a maximum of 20 hours per week during semester, and full time between semesters (during holidays). *** On average students with casual jobs can expect to earn between A$12 – $15 per hour.